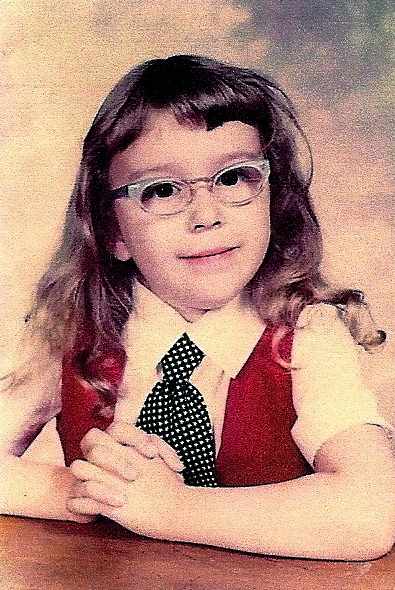 As I've admitted before on the blog, as a child I was the painfully shy girl with blue glasses. Beyond the normal case of quiet and reserved, I was the type of kid most comfortable playing alone with just my imaginary friends to keep me company. I spent hours on end creating characters to populate my imaginary scenarios. And, while I had my share of barbies and various dolls, from time to time I liked to bring 'outsiders' into my circle of play. 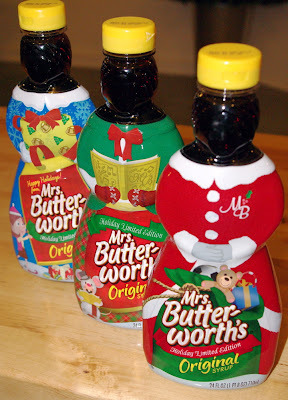 I don't recall when I decided that our Mrs. Butterworth's syrup bottle (she was glass then) should join my doll family, but once she did, she was a mainstay. She epitomized the warm, matronly figure that didn't exist in the fashionista world of Barbie and friends. I loved my 'Mrs. Butterworth's doll' and although she wasn't exactly built for Barbie's perfectly proportioned figure and form-fitting clothes, I still managed to fashion a shawl or an apron or a skirt out of some of Barbie's castoffs. Mrs. Butterworth never scoffed at hand-me-downs. She just smiled her all-comforting, all-knowing grin. And, when the other dolls were arguing over Ken, or fighting over who got to wear the prettiest dress, Mrs. Butterworth was fictitiously baking cookies, or perhaps knitting a scarf. Now, you can only imagine my sheer and utter delight when, in one of our recent Friday freight-loads, we received the shipper of holiday Mrs. Butterworth's at the market! Sporting distinct Christmas garb, I grabbed them one by one and examined their adorably festive outfits. The painfully shy girl with blue glasses would've definitely wanted them ALL! Be sure and check out lots of new holiday items on our New Items tab above, or click HERE to see! 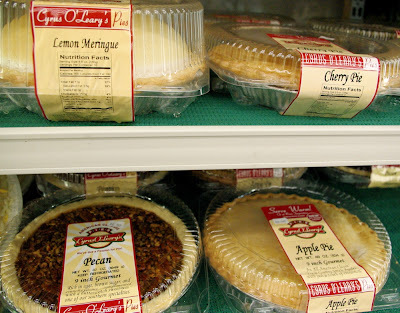 Save some time and let Cyrus O'Leary make one of your pies! Apple, Cherry, and Pumpkin $6.99. Pecan and Lemon Meringue $8.99. One less thing to do on your list: PRICELESS. (Pies are located in our Take-n-Bake Pizza case.) 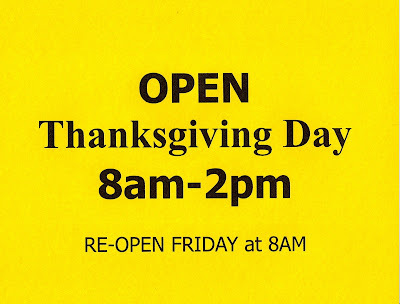 Open Thanksgiving 8am-2pm! Don't forget to plan for relaxing AFTER the big dinner...just in time for the holiday, eight New Release flicks just added! See Videos What's New above, or click HERE for titles! Also just in, fresh Thanksgiving floral bouquets. 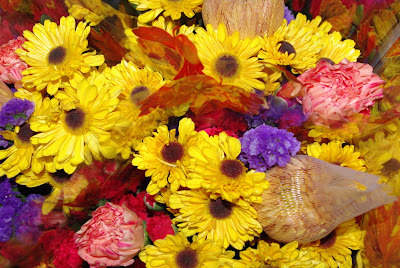 Bring a bunch to dinner - the cook will love you for it. And, if you forget something on your holiday list, we'll be here 8-2 Thursday! Happy Thanksgiving prepping, eating, cooking, eating, visiting, eating, napping, eating, and...recuperating (stretchy pants are advisable). So even though I've tried to hang on to the last vestiges of fall, the weather on The Palouse has been marching decidedly toward winter. 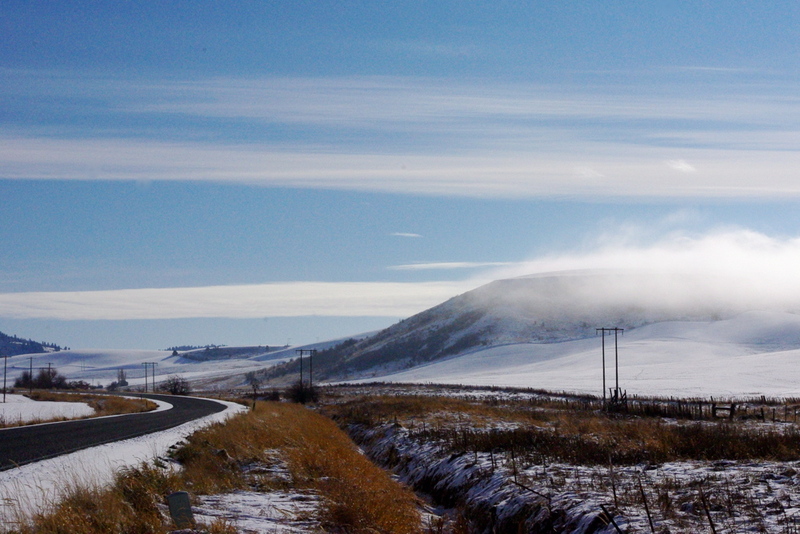 This is what it looked like Sunday on The Palouse. It's pretty. I admit it. It's actually really pretty. But, I still wish the seasons lined up with the calendar. 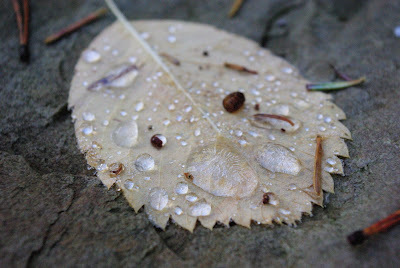 How I'd love a fall that lasted from September 20(ish) to December 20(ish). Don't forget, Thanksgiving's just a few days away! We've got what you need at the market. Let us help you set your holiday table. 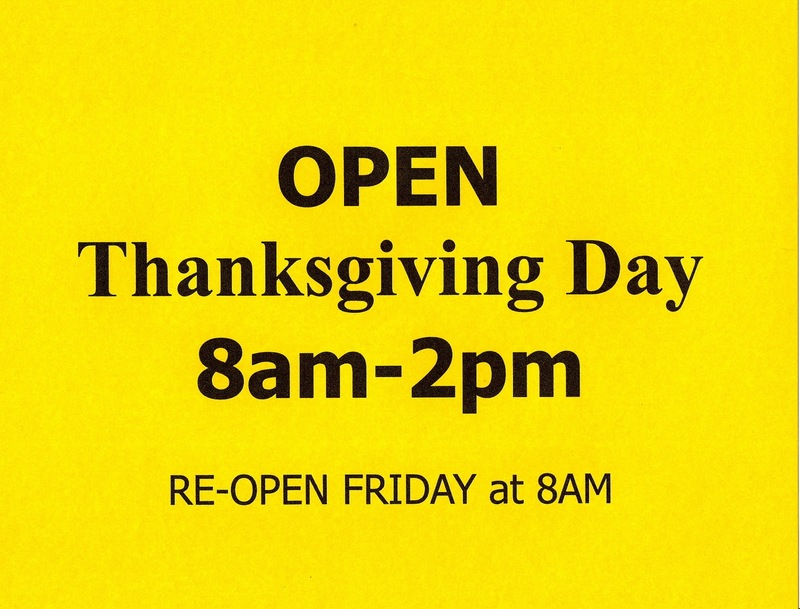 And, for your last minute needs, we're open 8am-2pm Thanksgiving Day! p.s. Be sure and check out the 20 new holiday items just added to the New Items tab at the top of the blog, or just click HERE to see. There's a little something fun for everyone! 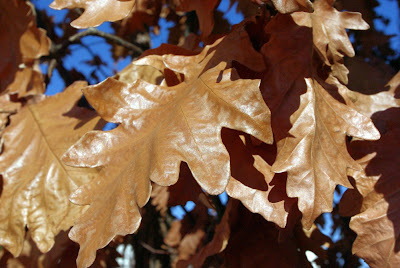 Visit the arboretum (as many times as possible): The (UI) arboretum is such fun to walk through. Constantly changing, there's always new eye candy to enjoy. Indulge in a new hot beverage: This year, I picked up the Stephen's Limited Edition Raspberry Cheesecake Gourmet Hot Cocoa we got in at the market. Lighter in color than traditional cocoa, it's a nice twist on an old favorite. Buy a new scarf: Scarves = happiness (that's all there is to it). Pick a pumpkin: This season, The Grocer surprised me with the most beautiful giant white pumpkin I have ever seen. Better than a dozen roses in my book...boy, does he know the way to my heart. Make something fall-ish: This year, I made crock pot apple butter. One of the perks of owning a market is getting dibs on produce that's not fit to sell. Apples, in particular, are perfect for salvaging by just cutting away spots or bruises (they're often all the sweeter then). And, the apple butter?---to die for. Take pictures of leaves (lots and lots and lots of pictures): This hearkens back to #1. Leaves are as unique and wonderful as snowflakes (and much more colorful). Be thankful: 'Tis the season, and it's the perfect time to reflect on how lucky we are to live and do business in Palouse. Our customers are THE best. Our crew is outstanding. And, this community is second to none. We truly have much to be thankful for, much indeed. Remember, winter doesn't officially start for five more weeks! 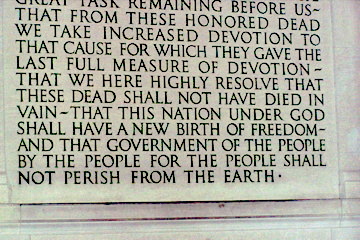 Timeless words - an excerpt from Lincoln's address at Gettysburg. 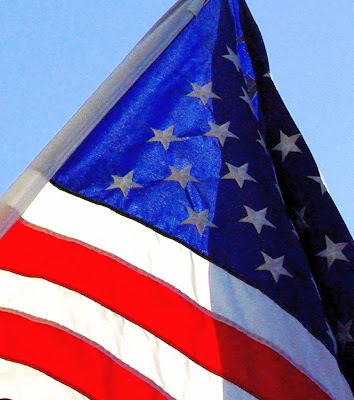 To ALL of our veterans, we thank you for your service and sacrifice. With Thanksgiving just a few weeks away, the holiday goodies have been arriving by the case at the market. Between the sweet treats, the egg nog, the candy, and the specialty baking goods...it's the best time of year if you're a foodie. 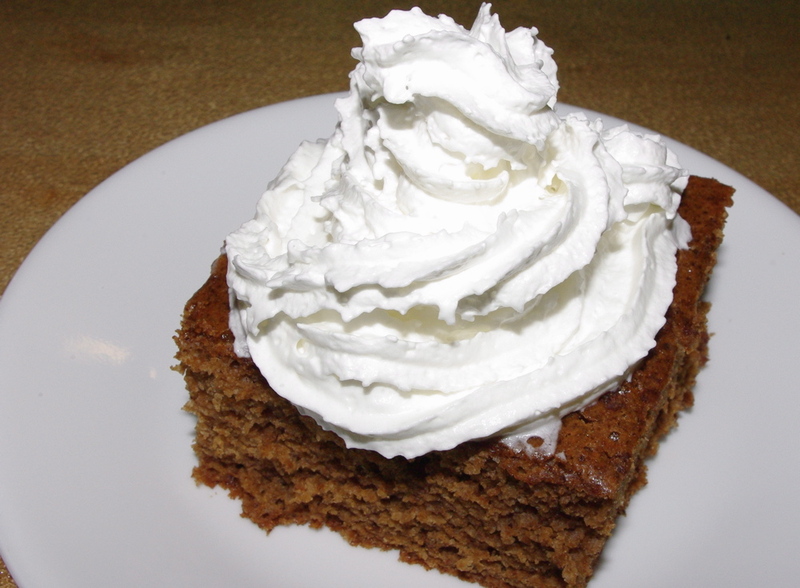 Take the little gingerbread delight above. It's a box mix (and, it's good). Add water and an egg and in a touch over half-an-hour, warm, spicy goodness is all yours. You can make it into gingerbread cookies, too. Tonight (or precisely 2 a.m. Sunday morning) we 'fall back' and say goodbye to daylight saving time until spring. I know it means it gets dark out earlier, and I agree that's a bummer. But, while 'springing forward' snatches away a coveted hour of sleep, falling back means the most delightful gift of time. It may be just an hour, a single hour one night - but, I think it's magical. If there's one universal thing I hear folks wish for it's more time. 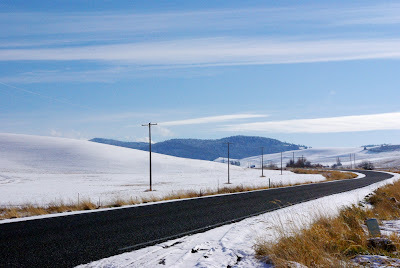 Palouse Community Center Building Fund this year! That's a grand total of $2,232 since the program began!